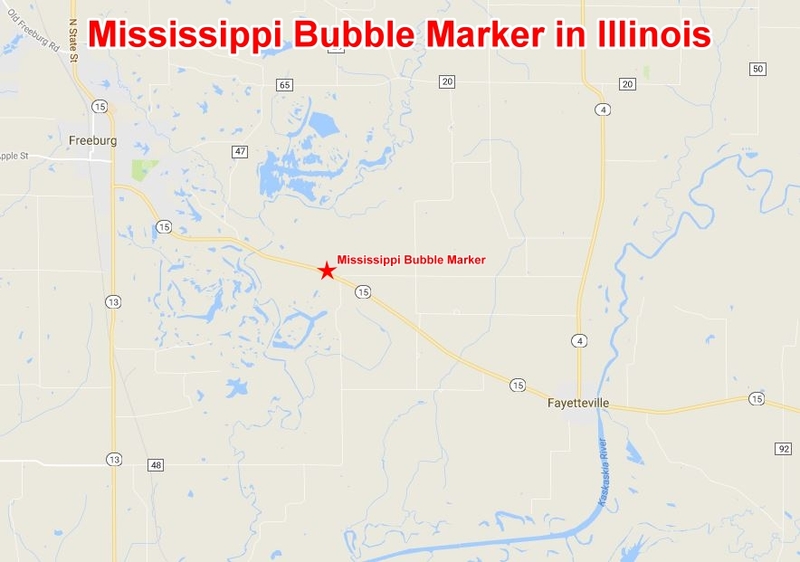 The Digital Research Library of Illinois History Journal™: How Illinois was effected by the "Mississippi Bubble" in the early 18th century. How Illinois was effected by the "Mississippi Bubble" in the early 18th century. "They related that there are mines of gold and silver... There is reason to believe that the French who will settle among the Illinois Indians will make all these rich discoveries when the colony becomes more thickly populated." Thus, John Law, Scot adventurer and gambler, inflated the "Mississippi Bubble" in the fall of 1717. He had convinced the Duke of Orleans, regent for [King] Louis XV, that paper money issued by a national bank and backed by a vast trading and colonizing enterprise would bring new life to the French economy. As part of the scheme, on January 1, 1718, the Company of the West received a 25-year charter to trade, settle and govern in the Mississippi Valley. Speculation in the shares ran wild as Frenchman of all classes engaged in the fantasy before the bubble burst in 1720 and left many investors bankrupt. IL Route 15, midway between Freeburg and Fayetteville, Illinois. Law's vision of the development of the region required more time and money than he had. Exaggerated accounts attracted some colonists; force brought others. As the operations of the Company in lower Louisiana expanded, the district of Illinois profited. Several French villages sprang up in the American Bottom south of here and mining expeditions searched for the fabled minerals. The real wealth in Illinois, however, was the fur trade and the agricultural produce which sustained the other French posts. The Company struggled along until Indian warfare and inadequate financial returns forced the surrender of its charter in 1731. Mississippi Bubble, a financial scheme in 18th-century France that triggered a speculative frenzy and ended in financial collapse. The scheme was engineered by John Law, a Scottish adventurer, economic theorist, and financial wizard who was a friend of the regent, the Duke d’Orléans. In 1716 Law established the Banque Générale, a bank with the authority to issue notes. A year later he established the Compagnie d’Occident (“Company of the West”) and obtained for it exclusive privileges to develop the vast French territories in the Mississippi River valley of North America. Law’s company also soon monopolized the French tobacco and African slave trades, and by 1719 the Compagnie des Indes (“Company of the Indies”), as it had been renamed, held a complete monopoly of France’s colonial trade. 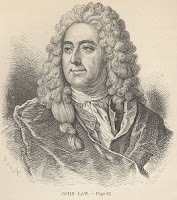 Law also took over the collection of French taxes and the minting of money; in effect, he controlled both the country’s foreign trade and its finances. Given the potential for profits involved, public demand for shares in the Compagnie des Indes increased sharply, sending the price for a share from 500 to 18,000 livres, which was out of all proportion to earnings. By 1719 Law had issued approximately 625,000 stock shares, and he soon afterward merged the Banque Générale with the Compagnie des Indes. Law hoped to retire the vast public debt accumulated during the later years of King Louis XIV’s reign by selling his company’s shares to the public in exchange for state-issued public securities, or billets d’état, which consequently also rose sharply in value. A frenzy of wild speculation ensued that led to a general stock-market boom across Europe. The French government took advantage of this situation by printing increased amounts of paper money, which was readily accepted by the state’s creditors because it could be used to buy more shares of the Compagnie. This went on until the excessive issue of paper money stimulated galloping inflation, and both the paper money and the billets d’état began to lose their value. Meanwhile the expected profits from the company’s colonial ventures were slow to materialize, and the intricate linking of the company’s stock with the state’s finances ended in complete disaster in 1720, when the value of the shares plummeted, causing a general stock market crash in France and other countries. Though the crash was not directly attributable to Law, he was the obvious scapegoat and was forced to flee France in December 1720. The enormous debts of his company and bank were soon afterward consolidated and taken over by the state, which raised taxes in order to retire it. 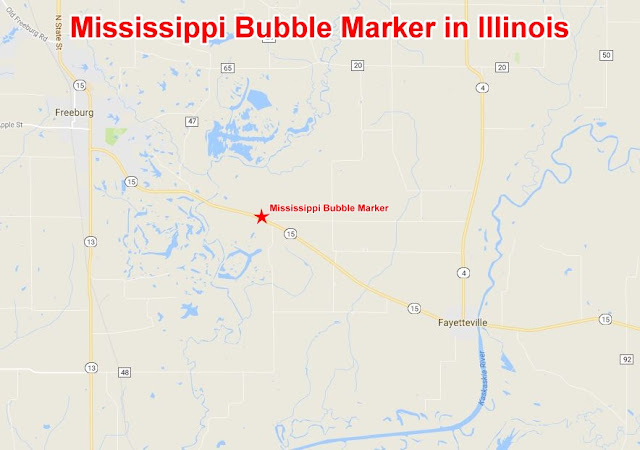 John Law and the Mississippi Bubble. The History of the Main Chicago Public Library. The History of Chicago's Famous Lake Shore Drive. The History of Chicago's Air Quality. 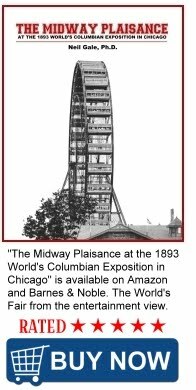 The Panic of 1893 in Illinois and Chicago. The Story of Chicago's Insane Asylum in Dunning. Christiana and John Tillson, Illinois Pioneers. Chicago Department of Health flier from 1916.